A Dissertation Writers’ Room (DWR) is a shared office space with partitioned desks for quiet and scholarly research. When you’re a subscriber, you are granted unlimited swipe access to the DWRs. Currently, DWRs are only available at Bobst Library. Fill out the form. To confirm your eligibility, you’ll need to have it signed by your department chair, or by an administrator with permission to sign for the chair. Bring the completed form to the Bobst Library Privileges window during open hours to get your NYU ID card processed for swipe access to DWRs, and to reserve a storage unit, if desired. Subscriptions to Dissertation Writers’ Rooms, along with the assigned storage, are for one academic year (Fall, Spring, and Summer semesters). Students who meet eligibility requirements and are in good standing with NYU Libraries may apply for DWR access at any time throughout the academic year, but storage availability will vary based on subscriber usage. All subscriptions terms expire at 5pm on the second Friday of the fall semester (regardless of when your subscription term started). Users can renew for the following academic year beginning in May by providing a new eligibility form signed by their department confirming their continuing dissertation work and matriculation. Dedicated long-term storage for DWRs is limited and available on a first-come-first-served basis. You can either request a Moby (mobile storage cabinet) or locker to store your research materials. The library food and drink policy applies to all Dissertation Writers’ Rooms. A strict “no camping” policy applies to the Dissertation Writers’ Rooms. Subscribers may not leave any personal items or research materials unattended in their assigned room. Only personal materials and checked-out library materials may be stored in a subscriber’s assigned Moby or locker. Inspections of assigned storage are conducted regularly by Library staff authorized to remove materials that violate regulations, and if violations are found on 2 inspection tours, DWR privileges will be permanently revoked. Fines may be applied to a subscriber’s library account for uncharged and non-circulating materials, food items, or inappropriately stored beverage items. 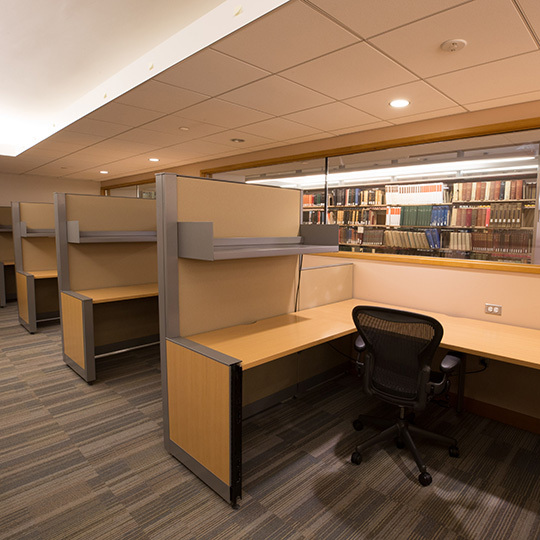 Questions about DWRs can be directed to Bobst Library Privileges by phone or email.